“Religion of Peace” or Religion of Pieces? [In] a September 2004 show, discussing the terrorist massacre of children in Beslan, Russia [which was perpetrated by Chechen MUSLIMS], . 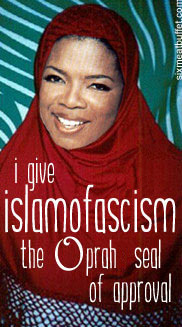 . . Oprah banned the use of the word Islamic, saying the terrorists “came from the mountains.” (Okay, so they were Mountainese terrorists, not Islamic ones.) Oprah stated that the Beslan massacre was “a watershed because terrorists never before killed children.” Remember those murdered Jewish kids in Ma’alot (and throughout Israel) by the DFLP? I’m sure they’d disagree with the “Queen of Daytime Talk.” If they were still around. I saw the show, and she repeatedly referred to the terrorists as “Russian terrorists” or just “terrorists,” never Muslims. Today, we’re seeing yet more of the Oprahfied, sanitized coverage of Islamic terrorists as “insert-any-other-epithet-aside-from-Islamic-or-Muslim” terrorists. It’s disgusting. But same old, same old. Heads in the sand . . . and the oily, sticky ooze of political correctness. If you see something, say something . . . unless it’s about Islam. The Orwellian name games will always be used with Muslim terrorists, whether it’s called “workplace violence,” or whatever “creative” expressions the leftists can dream up. After checking to see the spin that such Muslim websites as Al Jazeera and Loonwatch had to say about the story, I was surprised that they hadn’t even covered the developments. It was like they were caught completely by surprise. You’d think that such dedicated spinners like them would have already been prepared with their pro-Muslim spin. But no. In time they will probably adopt the Winfrey “Russian” spin. The major media will no doubt use that spin as well. Reality is very hard to take for the left, and denial is the most frequent response to reality. Ralph, since you mentioned both LoonWatch and Al-Jazzera, I don’t go to those websites, because those sites are a cesspool for islam and arabism. Also according to my knowledge, LoonWatch origniated from the DailyKos, if I’m not mistaken, the reason why LW exists is according to their perverted is to counter so-called “islamophobes” (made up propaganda word by the arabs in the middle east to crack down on criticism towards islam). And I don’t know why Oprah is sugar-coating the terminology by saying “Russian terrorists” or “Chechian terrorists”. Ok, a good number of Chechnian folks happen to be “muslims”, and since this guy’s brother is dead, I hope they catch this other guy who I can’t even pronounce or spell his name! Sean, I like to keep informed of what other media outlets are saying and doing, even if their viewpoints are diametrically opposed to my own. “Islam is the predominant religion in Chechnya. Chechens are overwhelmingly adherents to Sunni Islam, the country having converted to Islam between the 16th and the 19th centuries. Due to historical importance, many Chechens are Sufis, of either the Qadiri or Naqshbandi orders. Most of the population follows either the Shafi’i, Hanafi,or Maliki schools of jurisprudence, fiqh. The Shafi’i school of jurisprudence has a long tradition among the Chechens,and thus it remains the most practiced.”–Wikipedia. DS, you would have a true head explosion if you were here in Boston. It’s just as you said. And it IS disgusting. As much as I blame the news media, I blame the American people, too. Americans will know the football score of every game played each week, they will know the batting averages of each player of their favorite team, but they will not read the news, an encyclopedia, or look at a map (with a few exceptions). That ignorance is killing us. Like I told Jon here Tuesday – one saw this coming. Debbie, you’re being silly – there’s NO such thing as Islamic terrorists! Then again, people have to bury their heads in the sand – and they do so in the face of reality. The only place you’ll learn Islamic terrorists do in fact exist is on this site. Are you sure they aren’t part of the Russian TEA Party? That’ll be the next media connection. …just saw live media press conference with Baghdad Bob, oops…I mean their Uncle Ruslan…. Nick Fury, some people in Boston are taken in by that Uncle once he denounced them. I know better (from here, of course…) that if he is Mooooslim not to buy his um-gala-gala. People are just ignorant about Islam and from today (listening on local radio) I hear the word “radicalized” and “Fundamentalist” a lot. Heard the dead once has a Portuguese GF who converted to Islam. You know she’s a raging dope. Not even married to him and she converts? Women are really dumb in 2013. 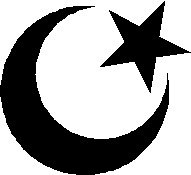 You deserve a great deal of credit for pointing out their Muslim beliefs. This information has been provided virtually nowhere else in spite of the massive publicity about Boston. Ask any true Russian what they think of them Chechens or any “Kavkazi” and you’ll get an earful. Kavkazis are hated because being from the Kavkaz is synonymous with being a radicalized Muslim, a seen among those from Chechnya, Daghestan, Kirgystan, Uzbekistan, etc, etc, etc. Russians hate jews and muslims. There’s the divide between Orthodox Christianity and Islam. The Russians remember for centuries they were under the yoke of Islamic Khanates to the south of Moscovy. That explains much about the Russian character. We Americans have never had that kind of experience living in thrall to Islam. I pray we never do. Russians have no problem with the Jews. But they should get rid of their Muslims. Whatever else you can say about them, they don’t mess around with terrorists. Norman, you are incorrect. Russians have historically had problems with Jews. Fiddler on the Roof did not take place in France. Skzion, I believe you are correct. I don’t know much about it but I do distinctly remember the singer Regina Spektor saying in an interview that her family left the Soviet Union because Russia wanted Jews to leave at certain times. It made an impression on me. She then spoke about how move to USA got her even more into music as she met some special people who were very charitable to her family. Historically, that’s been true. Under the Tsars and Communists Jews were persecuted and widely reviled. If things have changed today, its because the Muslims can do real damage. TD- if it wasnt so disgusting that would be funny……….. Under your statement…:”They are not Slovenians” should be written instead they aren’t Slavs, because this is what you meant probably, since Slovenians are citizens of Slovenia, one of the ex-Yugoslavian republics! Spot on! Russians are Eastern Slavs along with Belarussians and Ukrainians; Poles, Czechs and Slovaks are Western Slavs and Slovenes, Croats, Serbs, Bosniaks, Macedonians and Bulgarians are Southern Slavs. The fact that one of them was called Tamerlan is ugly in itself. It’s like calling a son “Adolf Hitler.” Tamerlaine (Timur Leng) was the worst Muslim mass murderer ever – a Hell of a title in itself! – and single-handendly responsible for the disappearance of Nestorian Christians, Jews, Manicheans, Buddhists, Hindus, Zoroastrians and all the great religious variety found till then in Central Asia and Persia. He killed an awful lot of Muslims, too. His favourite form of self-celebration was the tower of human skulls, usually numbered in the tens of thousands. Glad to see in a world so dumbed down that masses can’t realize the difference between Chechnya and the Czech Republic, that there is somebody out there with enough historical knowledge to grasp this connection. Tamerlane was the original Napoleon-complex, in his case his crippling being the demented force that let him pursue his most evil desires on the world. All, of course, in the name of Islam. Thank you Mr. Bush and Mr. Obama. I am sure if there was a time machine you would welcome Jack the Ripper here. Thank Mr. Clinton too as the idea of backing and funding these terrorists in Russia started with him and continued onward through Bush and Obama leading to the point that we were so “friendly” they decided to come here and repay us in the only way they know how. I’m not a fan of Putin’s, but this is one thing he and Yeltsin had right in fighting these creeps, however much the international media likes to decry Russian tactics as “overly harsh.” How concerned are the Chechens in being overly harsh in bombing us, or in the regular terrorist stunts they pull in Russia itself? Too right these creeps aren’t Russian. 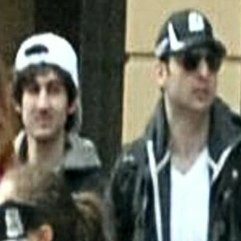 Tamerlan sure isn’t a Russian name. Yet our PC obsession when it comes to issues of race and religion means a willing blindness to this fact. Stupid, and we bring it on ourselves. Here’s one sick example of irony. In WW II (you know, the one that the little tramp Adolf started), Stalin deported a whole bunch of Muslim Chechens to Siberia out of fear that they would collaborate with the Nazis. Someone should have kept them there. Permanently. Oprah, the icon of 99% of guilty white america has assisted in some more innocent victims. Like the ones in the school she built in Africa who were raped by the staff. What a bag of abortion activist that african queen has been. Thanks for the historical prez and all the gutting of the intel community he’s over seen with his czars and minions with clubs at the polling places who went unpunished. Chechen are not even Russian, they hate Russians more than anyone. Right you are Alex. Chechens are Kavkazi Muslims and not of Slavic blood, like the Serbs, Russians, Ukrainians, Czechs, etc of Europe who are predominantly Eastern Orthodox Christians like the Greeks. “Kavkazi” as I am sure you know is usually used to define Muslims from countries like Chechnya, Dahgestan, Uzbekistan, Tajikistan, Kyrgistan, Tatarstan, Armenia, Kazakhstan, etc. They are primarily Central Asian in ethnicity or descendents of the Turks, which are Europeans and not Arab or Persian. Russians make very strange bedfellows for Jews. My grandfather refused to allow any of us to ever visit his country of birth and it had nothing to do with communism and everything to do with the fact that they are anti-semetic to their core. The only “good Jew” in Russia is one who has given up Jewish beliefs and does not make the mistake of being too successful. Even then, they feel compelled to move to America when they realize there is no place in elite schools for their Jewish children. The last good thing they did for Israel was to vote “yes” in 1948. Who has been a bigger supporter of Syria & Iran? Overnight on MSNBCing, you’d be hard-pressed to hear the words, “Islamic terrorism.” Calling terrorism the halal fruit of Islam isn’t politically correct in our time. Opah is an Obama fan, so of course she’s an idiot.